CNH Industrial (India) Pvt. 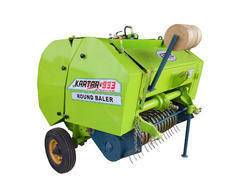 Ltd.
Mahindra Baler is used for post harvest application which allows handelling straw of harvested crop. Baler helps collect the straws and packs them into bundles so that it can be easily handled and transported. 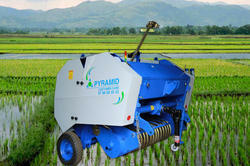 Mahindra Baler is used for post harvest application which allows handling straw of harvested crop. Baler helps collect the straws and packs them into bundles so that it can be easily handled and transported. - compact and easy to manage bales tied with twine. These bales are convenient to handle, transport, store and use. Worldwide Machinery Solutions Pvt. Ltd.
New Holland balers are recognised as the most reliable and dependable balers, and with good reasons too. They have a heavy duty draw bar, big drive lines, tough plungers, gear driven knotters and heavy duty feeding system, all designed to give you years of reliable service.